Getting ready has never been easier. 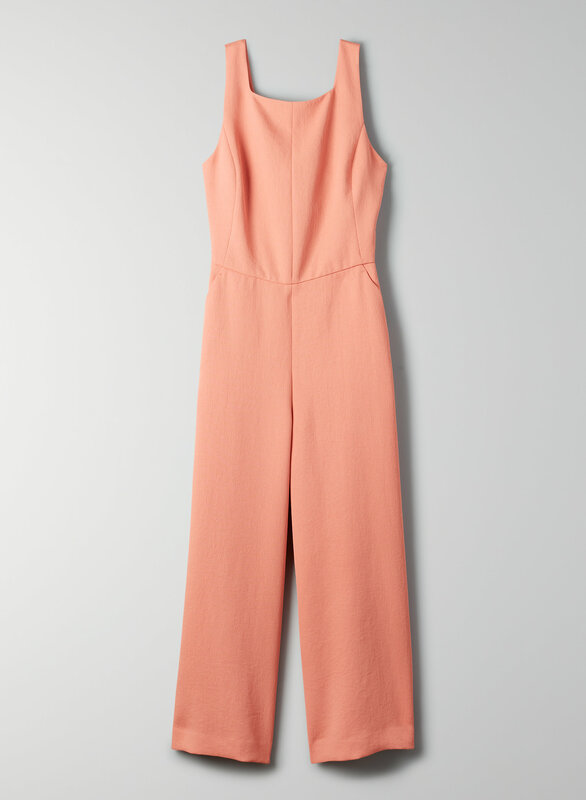 This is a sleeveless jumpsuit with princess seams and a self-tie at the back. It's made with a luxe Japanese crepe with an intricate basketweave texture. This jumpsuit was an absolute beautiful surprise. Made of the most incredibly comfortable wrinkle free cotton it fits perfectly and looks great. 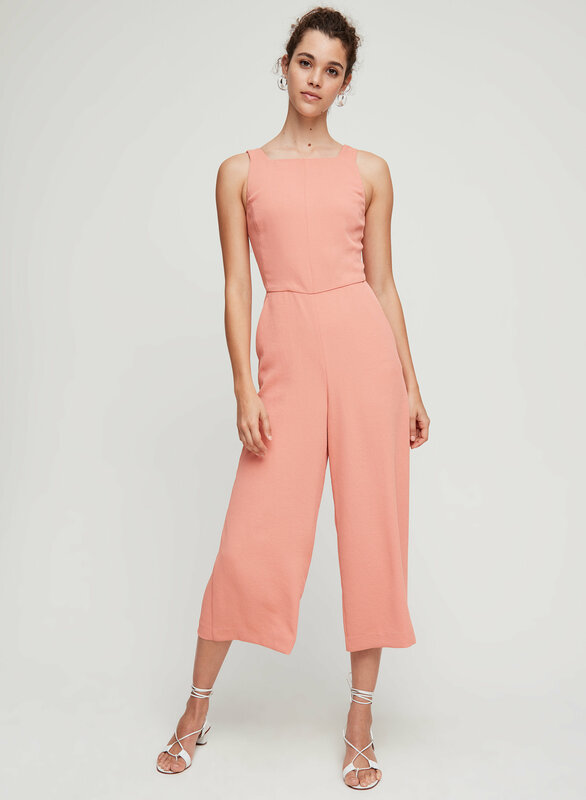 You need to add this jumpsuit to your wardrobe. Classy for dressing up nice and light for summer, fits great cute details got lots of compliments.